Kuala Lumpur, 16th September 2009: Coincidentally, part of this LRT line broke down today. But, no. There were no stranded passengers requiring a dramatic chopper rescue. 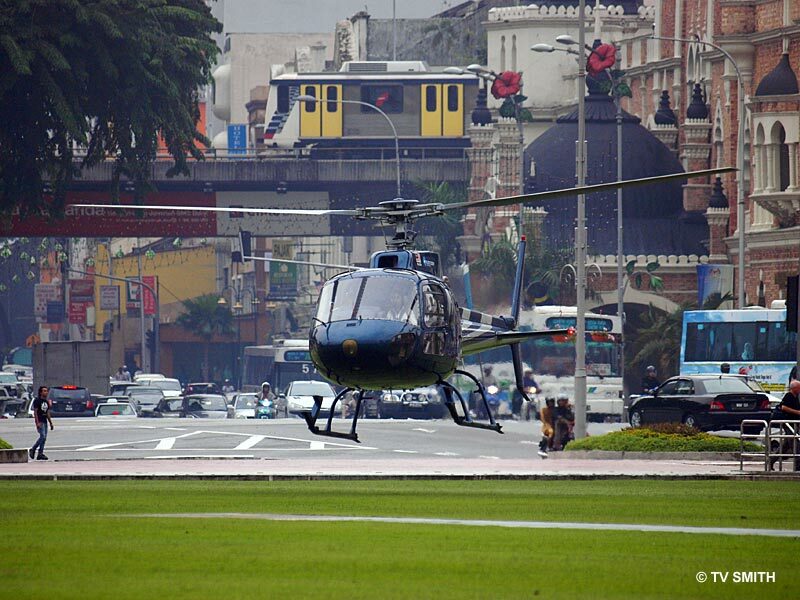 This and four other helicopters were ferrying chefs from participating restaurants to Dataran Merdeka. The spectacular gambit was part of the media launch of the Malaysian International Gourmet Festival or better known as MIGF 2009. And no. The chefs were not armed with choppers. AsiaReach Events is the organiser while Eurocopter Malaysia is the event partner.